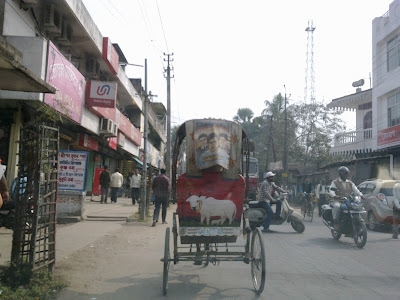 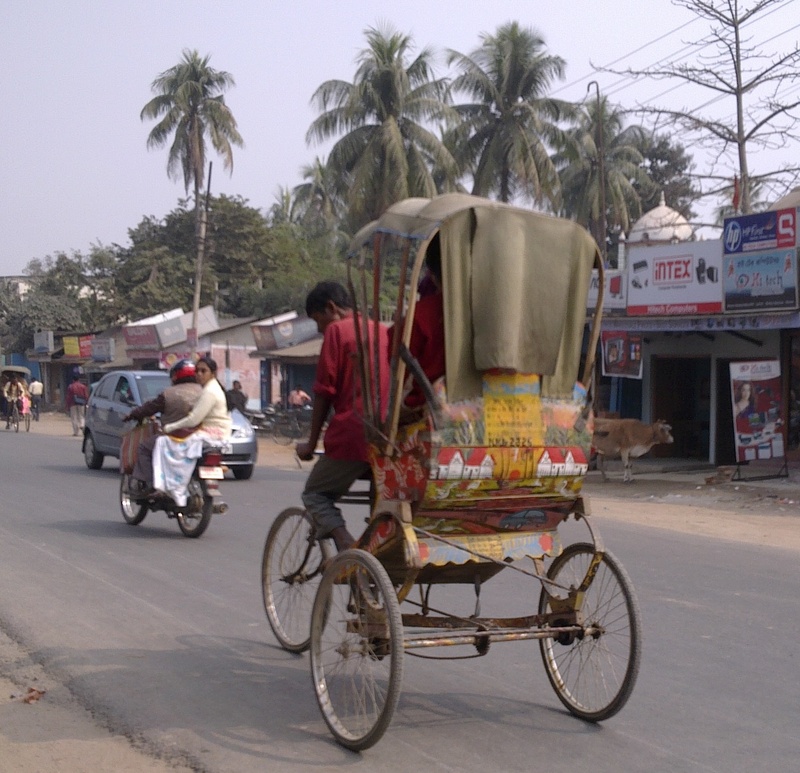 Something I remembered from earlier passages through Nagaon was the rickshaws decorated with kitsch. Look at these. 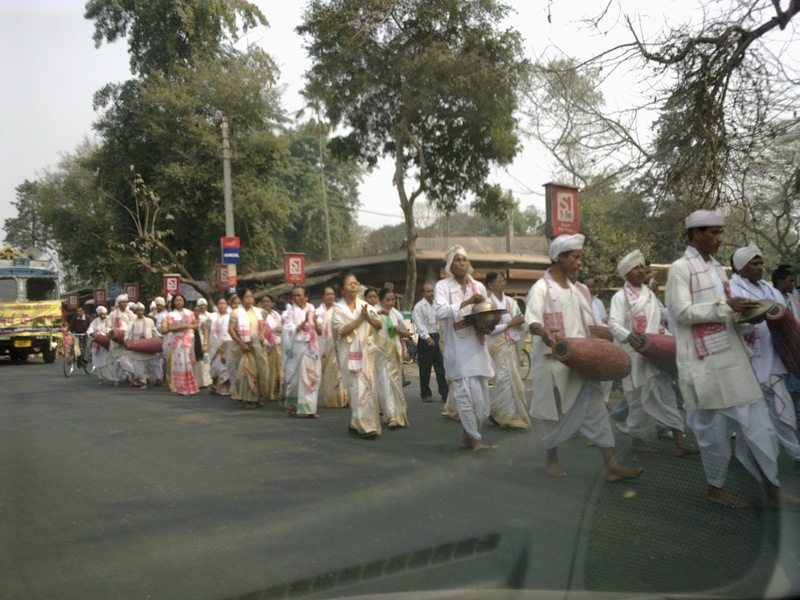 And then we came across this religious procession. 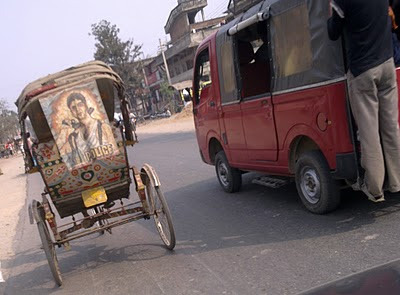 But I'm wondering, what exactly is that vehicle in red next to the rickshaw in pic 2 ?! 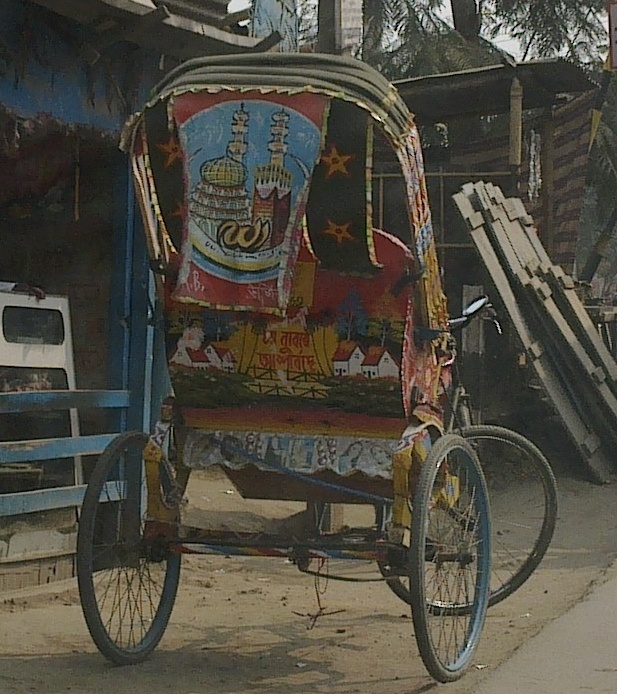 Is it public conveyance? 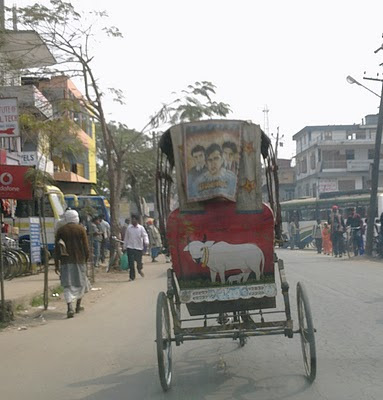 Oh yes, it's one of those big auto-type things.